I am in the process of updating the Directory, so if you are a breeder please contact me. Description: Small kennel located in Bydgoszcz; web site includes many dogs pictures, links to other resource, pedigree and rescue page. with kennel history, dogs pictures, pedigree, dogs shows and puppies. Description: Polski Owczarek Podhalanski - info about the breed standard, history, puppies and breeders contacts. 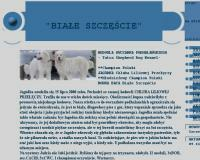 Description: Site about Polish breeds of Owczarek Podhalanski, Polski Owczarek Nizinny, Ogar Polski, Gonczy Polski and Chart Polski. 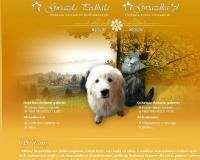 Description: Information about breeder in Holland. Site is in Dutch with one page in Polish. Some nice pictures of the Owczarek Podhalanski. 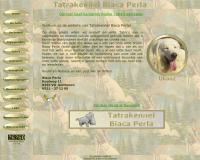 Description: Web site offers many information about Polish Tatra Sheepdog in the form of a blog and dogs pictures.